The Royal Wedding was like something out of a fairy tale – and some parts are really easy to copy for your big day. Unless you’ve been living under a rock, you may have seen a certain wedding on the TV a few weeks ago. Yes, we’re talking about Harry and Meghan’s big day. With Hollywood A-listers on the guest list, a gorgeous setting and, of course, a designer dress, it was everything you’d expect from a royal wedding. Naturally, many engaged couples looked to this wedding for some inspiration for their own big day. While not many people have the Duke and Duchess of Sussex’s budget, there are quite a few ways to emulate their special day. One thing that Meghan and Harry proved with their wedding was that locations just outside of London are the way to go. Here in Essex our acclaimed small barn wedding venue is one of the best wedding venues in Essex, we’ve got great road links to the capital, and you can be in London in around an hour. Our stunning Baronial Hall is grand enough for those who fancy being a prince and princess for the day, and our stunning grounds are just as picturesque as any you’ll find in Windsor. If Meghan’s gorgeous Givenchy dress showed us anything, it’s that less is more. So when it comes to your gown, opt for simplicity rather than heavy embellishment or lace. After all, you can’t go wrong with a classic style! Meghan did add some detail to her bridal look with a stunning veil embroidered with flowers of the Commonwealth – so look for similar intricate designs. She also had a tiara lent to her by the Queen, which isn’t something that every bride can get hold of! So keep an eye out for copycat pieces or opt for a simple jewelled headband. When it came to her gorgeous bridal bouquet, Meghan opted for a variety of British blooms. 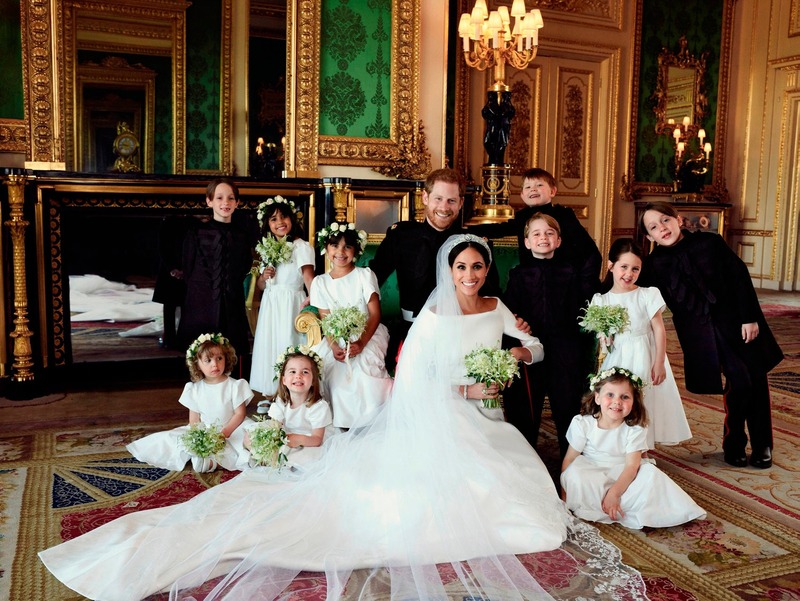 She chose flowers that had a deep meaning for her and Harry – such as flowers picked from outside their cottage, and forget-me-nots, the favourite flower of Princess Diana. So when you and your florist are putting together your bouquet and other floral arrangements, look to your own memories to create something that has real meaning for you. Meghan and Harry showed that they were not afraid to break with tradition, which made their wedding ceremony a joy to watch. From Meghan taking the unprecedented step of walking into the church alone, to the wedding cake that was a far cry from a traditional tired creation, there was a surprise at every turn. So don’t be afraid to break the mould on your big day too! There is no point conforming to traditions if they don’t hold any meaning for you. Meghan and Harry’s wedding was intimate, modern, and perfect for them. 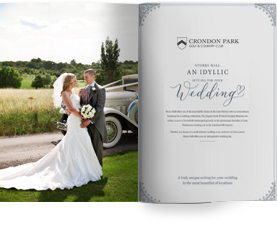 There’s no reason why you can’t create a similar atmosphere at your own wedding at Crondon Park. We’ve got years of experience when it comes to Essex weddings, and we’ll be able to work with you closely to help you plan the wedding of your dreams. You may not be Harry and Meghan, but here we aim to make every couple feel like royalty.